This first English translation of Pedagogy of Commitment takes readers deep into the acts and meaning of living a life of community and social commitment. Paulo Friere discusses how, for teachers specifically, this commitment is not only to students, to the underprivileged, or to the education of those who speak a different language, but to the transformation of the self to become more deeply responsive to the needs of social transformations. More than any other Freire book, this speaks directly and plainly to the lives of individuals and to teachers. It is an inspiring and passionate call from a global giant of progressive education. "Pedagogy of Commitment, structured in five parts, presents speeches, interviews, texts from seminars, and manifestos from work in Argentina, Chile, Nicaragua, Paraguay, and Uruguay. These selected texts give readers who may have less familiarity with Freire's work, as well as those more conversant in this work, a means of understanding the substance of the ideas without loss of nuance. Pedagogy of Commitment,. 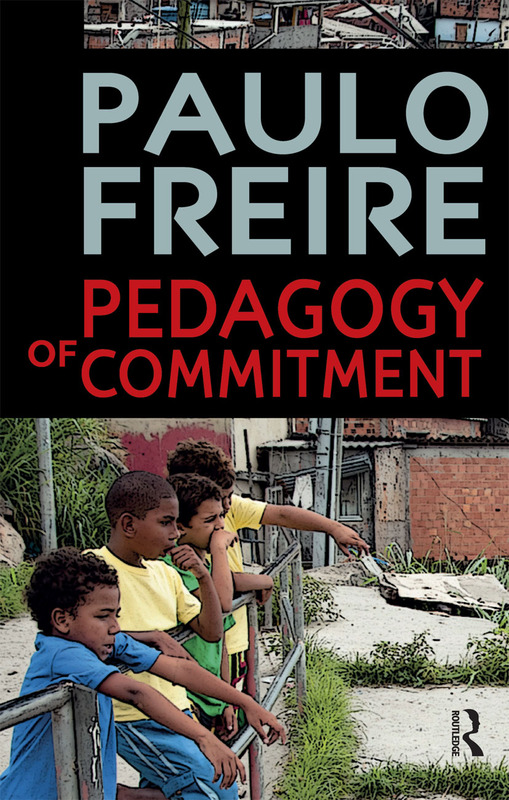 . . offers an excellent introduction to Freire's ideas and, like so many of his works, a means for readers to deeply contemplate the place of these ideas within the current organization of education. . .Summing Up: Highly recommended. General readers, undergraduate students, graduate students, and professionals."